White wine lovers often choose Chardonnay as their favorite wine. Depending on the region grown and the winemaker, a glass of Chardonnay can be toasty and buttery or crisp and refreshing. With so many styles to choose from, it's hard to believe that winemakers could elicit so many flavors from a single grape. This white wine grape variety is grown popularly throughout the world. The Chardonnay grape has a green skin and a fairly neutral flavor that lends itself well to drawing interesting notes into the wine through winemaking techniques, terroir and oak. Chardonnay grapes are typically used to make a stand alone wine and rarely blended with other white wine grapes. The exception to this is in sparkling wines and Champagne, where winemakers may blend Pinot Noir and Chardonnay. While Chardonnay is most commonly associated in early viticulture with the Burgundy region of France, wine experts have engaged in a great deal of debate about the origins of this ubiquitous grape. In 1999, however, researchers at the University of California Davis performed DNA fingerprinting and discovered that Chardonnay was a cross between the Pinot noir and Gouais blanc wine grapes. While the revelation was a surprise to many, Chardonnay has long been grouped with Pinot noir, because the two often grow synergistically in wine regions around the world. Many wines contain Chardonnay. In many areas, such as North and South America, Australia and New Zealand, you will find the varietal labeled as Chardonnay; however, in France labeling names the region as the type of wine rather than the grape varietal. For instance, Chardonnay from Burgundy is called either white Burgundy, Meursault, or Chablis, and in the Champagne region, a sparkling wine containing pure Chardonnay is called a blanc de blancs. One of the reasons that Chardonnay is so popular is the variety of flavors and styles that develop in the wines produced from this grape. For instance an oaked Chardonnay may contain flavors of apples, toast, vanilla, and caramel, while someone might describe an unoaked Chardonnay as bright and citrusy with peach and green apple. Classic blanc de blanc flavors include biscuits and vanilla. Along with oak, Chardonnay also picks up flavor of the earth in which it was grown, as well as developing flavors related to the climate. For instance, Chardonnay grown in warmer regions may be brighter with more citrus flavors, while grapes grown in cooler regions may tend more towards mineral and herbs. 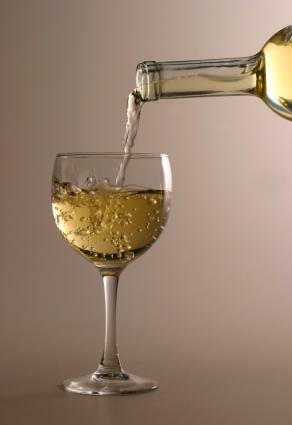 Classic Chardonnays are very dry wines, with only a small amount of residual sugars. Most Chardonnay does not require or benefit from aging, although you can store Chardonnay for a few years as long as you keep it in a temperature-controlled environment away from vibration and light. Store at about 50 degrees, and serve chilled at between 43 and 47 degrees. Unoaked Chardonnay works well for a summer barbecue. Pair it with grilled poultry or fish. A classic pairing for an oaked Chardonnay is lobster. Other foods that complement Chardonnay include cream soups, pasta with white sauce, shellfish, and spring risotto. Try some of these Chardonnays from around the world. With its wonderful flavors and amazing versatility, you can find a Chardonnay that you love at a price that fits your budget. If you aren't sure what type of Chardonnay you might enjoy, check with your local wine shop to see if they will be offering any wine tastings, or ask for recommendations.